What's next after you toss the turf? 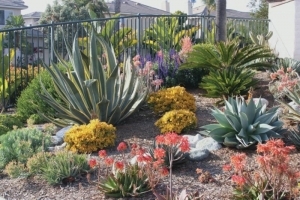 Landscape designer and xeriscape expert, Jan Tubiolo, explains the phases of designing a water-saving garden including planning, irrigation, and plant selection. Plus, Helix Water District will offer helpful drought updates. Garden Members FREE; $10 Non-Members. Clayton's class will be: Pollinators, Pollution Prevention, and Erosion Control: Ecological Services of Native Gardens for the Homeowner, Orchardists, and Farmers. Wednesday, September 23rd, 1:00 pmIn partnership with the Monarch Arredon Contemporary Gallery, The Garden is pleased to offer Water-wise Gardening 101 with The Garden's Director of Horticulture, Clayton Tschudy. 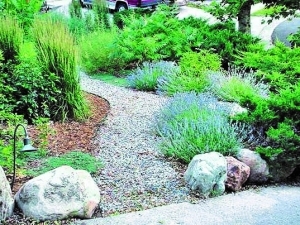 Learn the basics of water-wise gardening, including how to incorporate drought-tolerant plants into your landscape. Learn fire-wise landscaping essentials using native plants with landscape designer and gardening book author, Greg Rubin. This important presentation explores native plant choices, proper plant placement, and native plant care. Pre-registration required for all participants at www.thegarden.org or 619-660-0614 x10. Bring the kids for a Ms. Smarty-Plants™ presentation filled with her special mix of music, magic and fun. Learn how we can all be an Earth Hero! Presented in partnership with the Monarch Arredon Contemporary Gallery in La Jolla. Pre-registration NOT required. Contact Diane Owens at diane@thegarden.org for more information. Attend this two-part training program to learn how you can utilize your skills and talents to contribute to The Garden's success. The Garden offers many opportunities to get involved in the programs and services we offer and to meet people with similar interests. Garden membership required to participate. Pick up while supplies last! Free Docent-Led Tours, Saturdays, 10:00 am. Meet at The Garden's front gate. Professional Landscape Design Consultations. Call 619-660-0614 x10 for appointment availability, designer information and reservations. Garden Membership has a multitude of benefits! 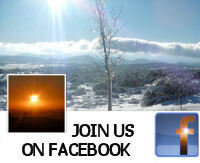 For information on becoming a member, click MEMBERSHIP.